If you would like to take on a different challenge today, take the time to walk around the office and/or (even better) walk around the production floor. All I want you to do is to look at peoples’ faces, their body language and their level of energy. What do you see? The facial expressions and how they move can tell you a lot about their thought process. Nobody can get positive results with a negative mind. There is a lot of unnoticed pain in our organizations because most individuals are busy chasing numbers instead of taking the time to observe the emotional state of the people. Way too many people are angry and that’s why it is important to understand where anger comes from. 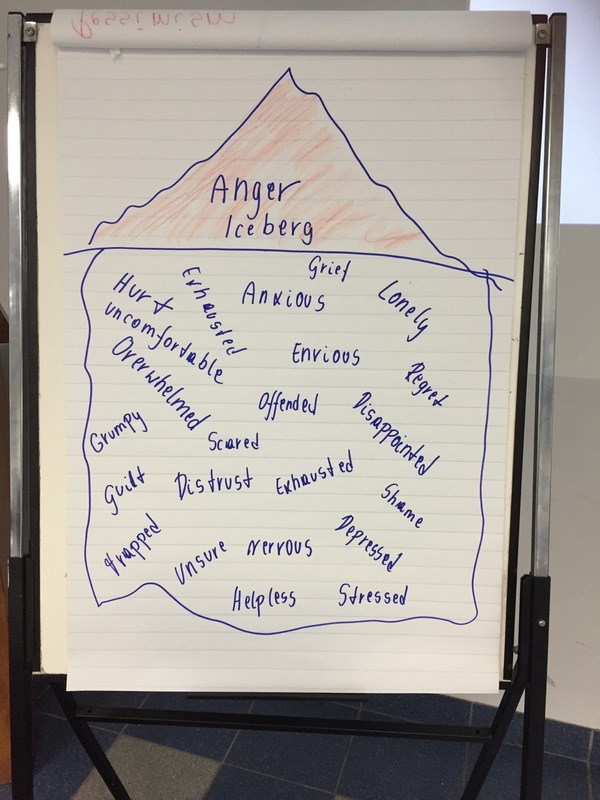 I like to use the Anger Iceberg in my workshops to demonstrate all the different underlying emotions. I always have to smile when someone tells me that there is no room for emotions at work. Unfortunately this is not how it works. Like it or not, as humans we are emotional beings. In case you experience a lot of anger lately, I encourage you to ask yourself where the emotion comes from. If you are angry with others, it’s an opportunity to look within and change your perspective. I encourage you to start exercising or at least going for regular walks. Anger won’t serve you because it will affect your health and well-being. It is super important where you live emotionally. End of Story.